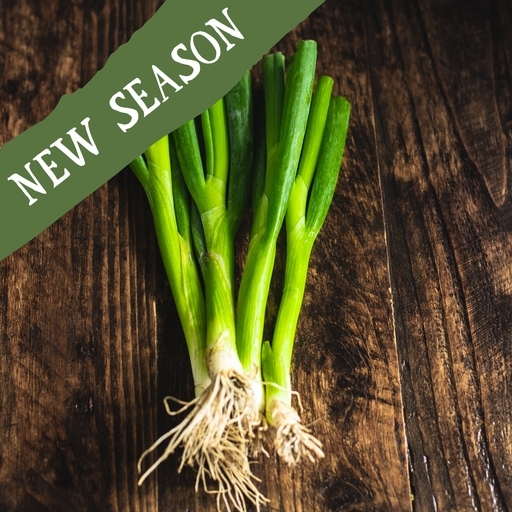 Organic spring onions. These milder younger siblings of the main-crop onion will bring perky flavour to your kitchen. Toss into stir-fries, frittatas and tarts, or chop finely and enjoy raw in salads, sandwiches or mixed into creamy mashed potatoes.